Philippines President Rodrigo Duterte spoke publicly this week for the first time about a proposed $500 million casino resort on Boracay, the country’s most popular vacation island, and the leader’s comments weren’t favorable to project developers. 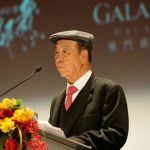 Galaxy Entertainment, a Hong Kong casino group led by billionaire Lui Che Woo, has partnered with Philippines-based Leisure & Resorts World Corporation in proposing an integrated casino resort on the island. The partnership obtained a provisional license from the Philippine Amusement and Gaming Corporation (PAGCOR), but Duterte said not so fast. “You know the billionaires? They were of the belief that that island there is okay for anything. They want to build casinos there. I did not allow it,” Duterte said in a press briefing this week. “There will never be one,” the president concluded regarding a potential Boracay casino resort. Galaxy and Leisure & Resorts World have acquired roughly 57 acres of land on Boracay’s southern end. 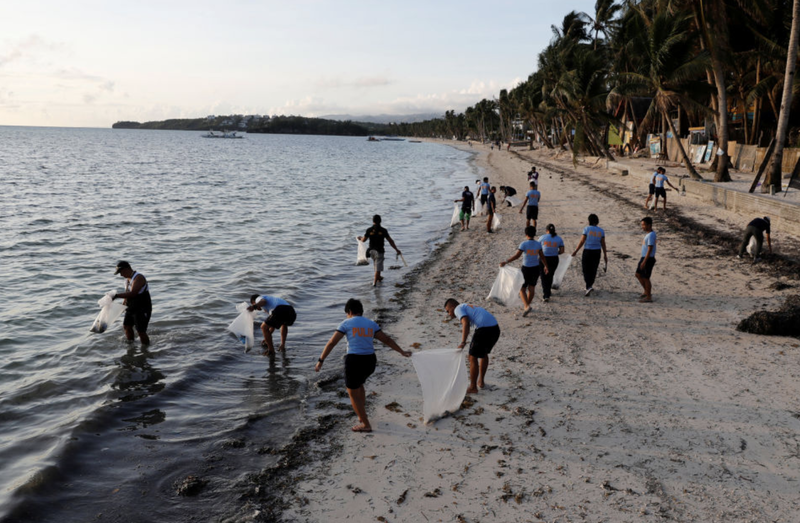 The island is currently closed as of April 26 to visitors at the direction of Duterte, who has called it a “cesspool” and ordered its cleanup by federal environmental agencies. The closure is expected to cost the economy more than $36.5 million, and displace some 35,000 workers. The president said without intervention, the waters would eventually become too contaminated to swim, and the sewage concerns would someday render the island uninhabitable. 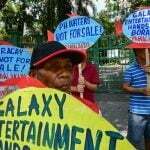 When President Rodrigo Duterte announced a six-month closure of Boracay, critics said it was a smokescreen to allow Galaxy to proceed building its resort without regulatory inspections from federal agencies that would be prohibited from entering the island during the rehabilitation. Executives at Leisure & Resorts World are thought to be close allies with Duterte and his administration, and have made monetary donations to the president’s political efforts. But Boracay is very much in need of repair, as the island’s popularity has surged in recent decades, and critical infrastructure and basic necessities have failed to keep up with growth. The primary concern is reportedly the island’s sewage system. 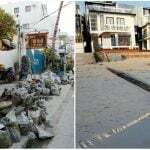 In need of desperate maintenance and expansion, uncollected sewage bags have littered the streets, and some properties have built makeshift drainage pipes that flow into the crystal-blue water. Though Duterte says a resort casino will never come to Boracay, PAGCOR officials declared this week that the Galaxy and Leisure project is on hold. 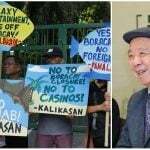 PAGCOR President Alfredo Lim told Reuters that Galaxy simply needs to convince Duterte why such a facility would be in Boracay’s best interest. “They have to explain to the president the advantages and that they will comply with the environmental laws,” Lim explained. The gaming regulator added that stressing the venue will be a foreigner-only property would be smart in potentially persuading the president to allow it to proceed.